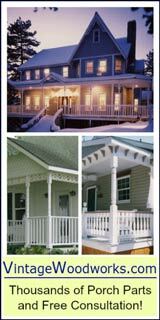 Porches were meant for outdoor decorative flags and banners to honor the seasons, show our patriotism, celebrate the holidays and cheer on our favorite teams. Mary and I are partial to flying Old Glory in support of our country and troops. Many enjoy flying flags to support their favorite sports teams. 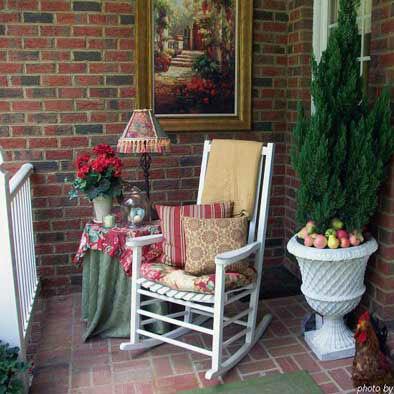 No matter the reason, outdoor flags and banners are a nice touch in your porch decorating. Use them decoratively to welcome the seasons. 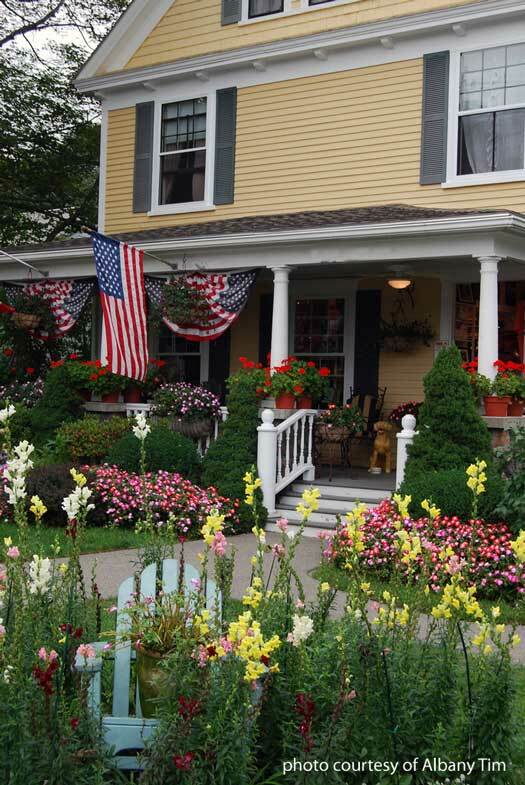 Flying the American flag on your porch is not only patriotic but beautiful as well. 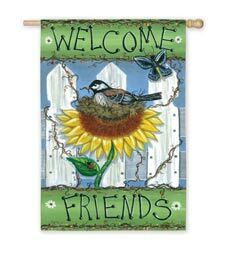 Outdoor decorative flags and banners are fun and colorful - an easy way to decorate your porch and home. Combining your country's flag with a military flag to support a loved one in the military is also always in season. 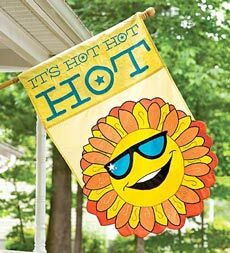 Garden flags are another all-time favorite. 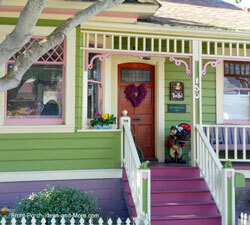 You can use them to add a bit of whimsy to your front walkway or declare your passion along side your front steps. Combine flags with other objects like wind chimes for a special effect. 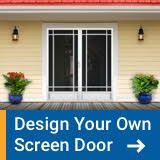 Add them to statuaries and other decorative items on and around your porch. This flag reminds us of fireflies, fireworks,family time and fun summer evenings. Good memories. 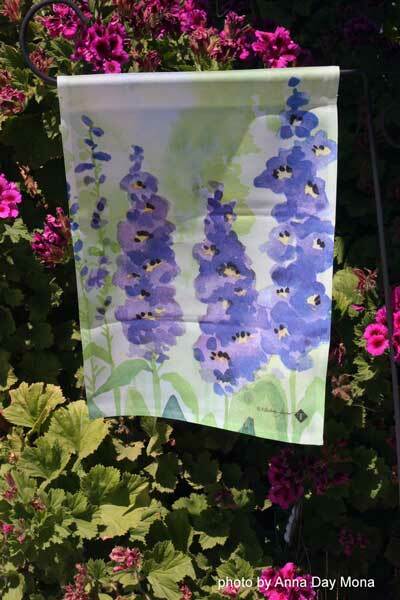 Do you like these sets of garden flags? 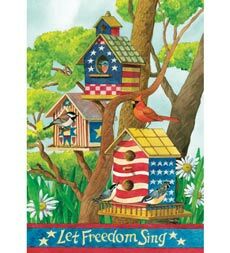 Each of them is a wonderful assortment of flags for all year through making it to dress up your porch for the seasons and holidays. 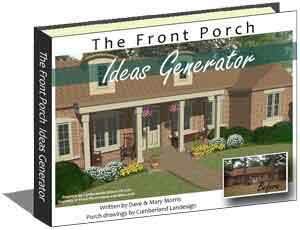 We like that happy feeling they lend to porches and garden areas. How about you? 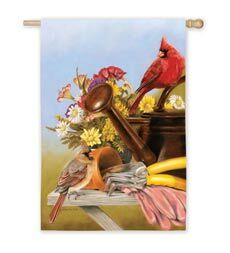 Especially for bird lovers, this 28" x 40" decorative flag will take you through all seasons - at least spring, summer and fall. Change them out to celebrate the seasons or holidays or both! 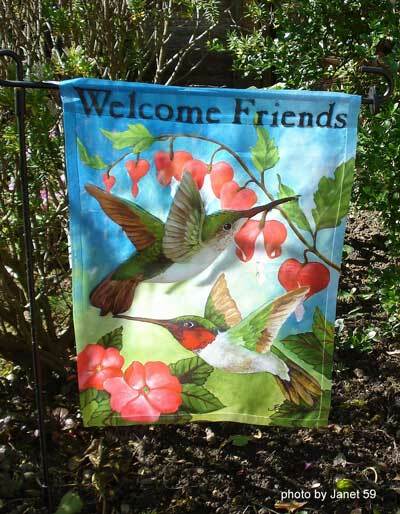 Outdoor decorative flags add instant color and appeal to any home. 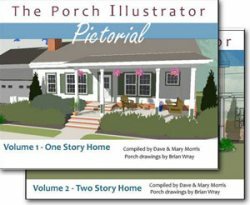 Q: What do the football season and porches have in common? 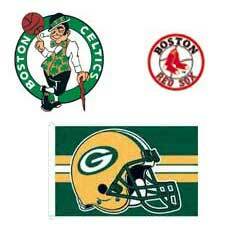 A: Outdoor decorative flags and banners of your favorite teams. Colorful and dramatic, fly your team's flag to let others know who's the best! 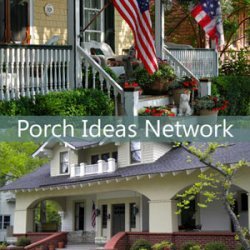 Our neighborhood's porches are usually full of flags on game days, from local college teams on Saturdays and pro-teams on Sundays. 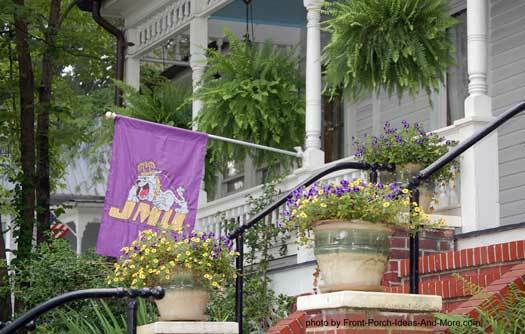 Add your team colors to pillows and cushions, put a mascot on the steps, and you'll have a great weekend-decorated porch! We used to live in Nebraska and Saturday was "red" day in support of the Nebraska Corn Huskers (originally known as the "Bug Eaters)! Not only was the stadium a "sea of red" so were the porches. We found many of these flags at Plow & Hearth . They have a nice assortment of decorative and patriotic flags. You may just find the right flag for your porch. 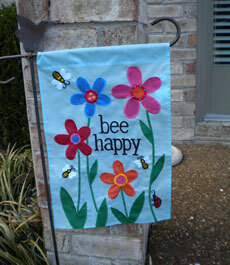 Garden flags are a fun way to decorate. You know - those small rectangular flags that are often seen in gardens. We usually have one next to our porch and change it with the seasons. 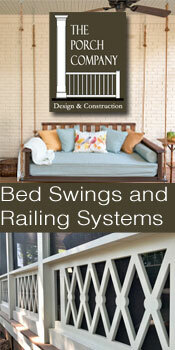 We incorporate garden flags as part of our porch landscaping. Try to find ones with the pattern on both sides so you can see it from any angle, especially on windy days. 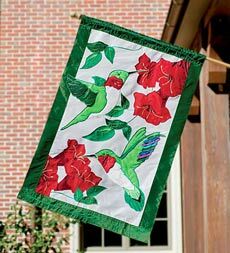 Find flags for the seasons, holidays, and those special occasions and you'll have a great decorating tool at your disposal any time of year. 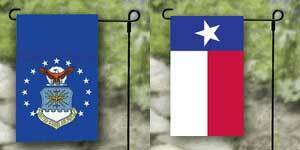 Here's a great tip to keep those flags on the garden flag holder: Use a rubber washer at the end of the holder and the flag won't come off. When we saw these designs, we wanted to share them with you as they are not your typical outdoor flag designs you see everywhere. Choose something that shows off your personality and what you enjoy in life. 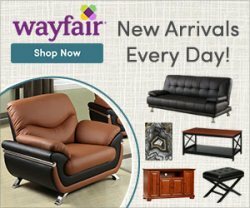 We found each of these on Amazon and these are our affiliate links. 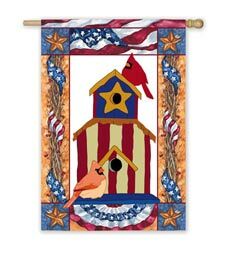 There's an outdoor decorative flag for every occasion, every holiday, every sports team, back to school flags, country flags, character flags, wildlife, religious, vehicle, military, flowers, fruit, folk art, and more. Recycled, seasonal, Realtor, baby, birthday, political, state, Victorian, trains, wind spinners, and even wind socks. There's no escaping it; there's a flag out there for you. 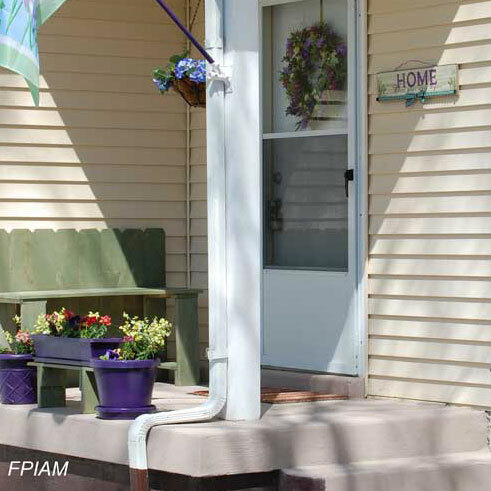 Have fun with it and use these great flag ideas for your porch. U.S. Flag Flying Reminders: The U.S. flag should never touch the ground, shrubs, bushes, or trees. Place in locations where it will not come in contact with foliage. It must be lit if flown at night. 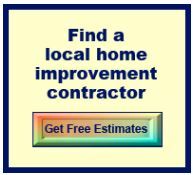 Landscape spot lighting can work for this purpose; just ensure there is sufficient light to highlight the flat. The U.S. Flag must always be positioned higher than any other adjacent flags (unless flown next to other nation's flags).